A bug in a recently retired feature on popular live streaming platform Twitch has exposed private messages of many users to other users. The bug was located in the message archiving and download feature which was removed on May 5, 2018. Twitch has made it possible for users to check if their messages were included in other people’s archives. A warning on live streaming platform Twitch revealed that the private messages of many users had been leaked to other users. 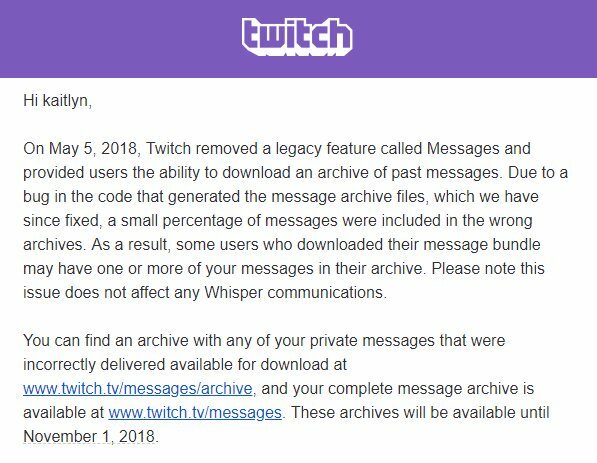 Twitch removed its Messages feature in May and offered the ability to download an archive of past messages in the process. The archiving feature contained a bug which caused private messages of users to be included in archives of other users. 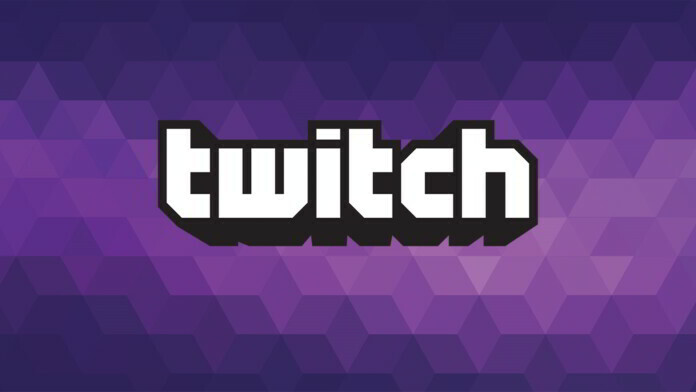 Twitch is a streaming platform that has a user base larger than HBO or Netflix and is predominantly focused on gaming. The company is owned by Amazon and was launched in 2011 as a video streaming platform under the name Justin.tv and currently commands over 140 million users with countless paid subscribers on thousands of channels. The bug affected the Twitch Messages feature only and not the popular Whisper feature which allows users to communicate with each other. Users can open their Twitch profiles and head to the archive page to see if the live streaming service has accidentally leaked one or more of their private messages through other people’s downloadable archives. While many users revealed that their messages contained nothing of importance, other users are reporting that sensitive information has been leaked by the platform. Users are not thrilled at the idea of their private messages being leaked and have taken to social media to express their concern. What do you think about Twitch leaking users’ private messages? Let us know in the comments below. Also, to get instant tech updates, follow TechNadu’s Facebook page, and Twitter handle.